At Corsi Dental Associates, we offer root canal services for those in need. Our expert dental staff know how to complete this procedure quickly and will do so in a way that will cause as little pain as possible. Below you can uncover more about what our root canal services include and what they can do for you. A root canal, also known as an endodontic treatment is used to save a tooth that has become cracked, decayed or severely injured and therefore causes the pulp (the inner part of the tooth) to become infected or inflamed. The longer one waits to have a root canal when they are suffering from symptoms like this, the more pain they are likely to experience. Depending on the severity of your inflammation or infection, a root canal treatment can be completed in one to two visits. With good and consistent oral health. What are the signs that you need a root canal? Pain in a tooth or the gums, as well as, discoloration or extreme sensitivity to cold or heat. Tenderness of a tooth when it is touched. While these symptoms will likely appear before you have to reach out to your dentist, every once in awhile, an x ray is needed in order for your dentist to determine if there is damage to a tooth. When a root canal is completed, the portion of the diseases pulp and the tooth’s nerve is removed. After that, the inside of the tooth is cleaned out thoroughly, then medicated and sealed. 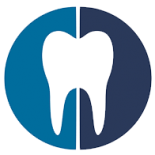 Most often a restorative treatment, like the implementation of a dental crown is used in order to make the tooth stronger, allowing it to heal effectively. 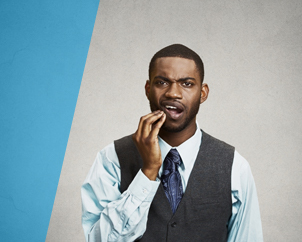 If all works out as planned, your tooth will restore itself and remain strong and useful for the rest of your days. If you are in need of root canal or you need more information regarding this procedure, feel free to contact our dental office today. We look forward to seeing you and giving you the smile that you want.